I'm getting to know music again. And it is getting to know me. and behind each other's neck. We are both confident, and a little sassy. There is rhythm in the second stanza because of the commas at the end of the short lines. It tells the reader that they should slow down. There is repetition in the first stanza with the words "each other's" and it tells you that Billie Jo is referring to music as a person. There is no rhyme in this poem and I think that it is really nice not to have the stereo-type kind of poem. I chose this poem because I thought it was a really big part of Billie Jo's life. I believe this because she really loved to play, and after the Ma died she never really was able to do it until now. Also because I felt that Billie Jo finally understood that she can't run away from herself, and that she is who she is. This poem is all about Billie Jo learning how to play again after the accident. During this poem she starts to learn the she is the person she is because of the dust, and that she can't run away from that. I found this out when I read the second stanza, and the first line. This poem adds to the story because it shows the reader that Billie Jo really loved playing, and that she understands who she is and what makes her herself. What makes this poem powerful? What makes this poem powerful is that Billie Jo has found herself, and that she can't run away from who she is. Also that she can finally play again after her hands have healed up. The reason why I chose the song Sunrise by Classic New Age Piano Music is because it sounds happy and hopeful, is played on a piano and makes me want to play when I hear it. “Dried up corn stalks caused by drought.” How does your garden grow? N.p., n.d. Web. 15 May 2016. 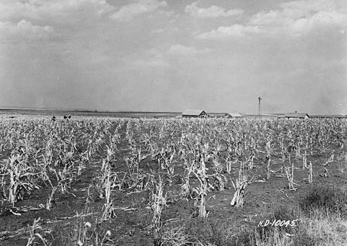 <http://history.nd.gov/exhibits/gardening/images/0351-06-Dried-up-corn-stalks-caused-by-drought.jpg>. 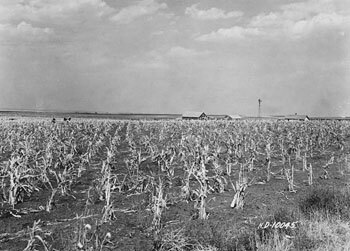 “Dust Bowl.” Wikipedia. N.p., n.d. Web. 9 May 2016. 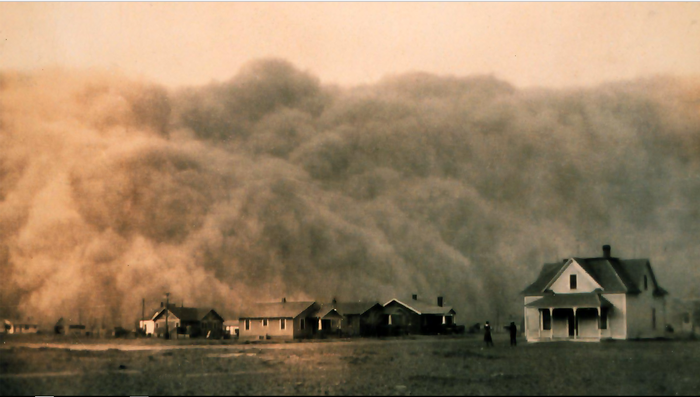 <https://upload.wikimedia.org/wikipedia/commons/3/34/Dust-storm-Texas-1935.png>. “Music Note Clipart.” Clipart Panda. N.p., n.d. Web. 9 May 2016. 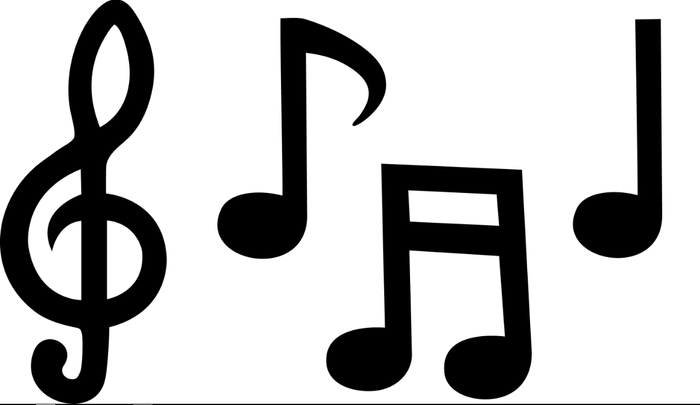 <http://images.clipartpanda.com/clipart-music-notes-musical_notes_set_black.png>. 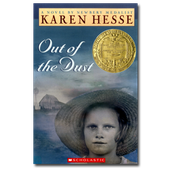 “Out of the Dust.” Anita Silvery’s Childern’s Book-A-Day Almanac. N.p., n.d. Web. 15 May 2016. 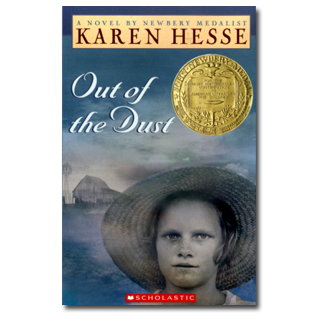 <http://childrensbookalmanac.com/2011/03/out-of-the-dust/>. 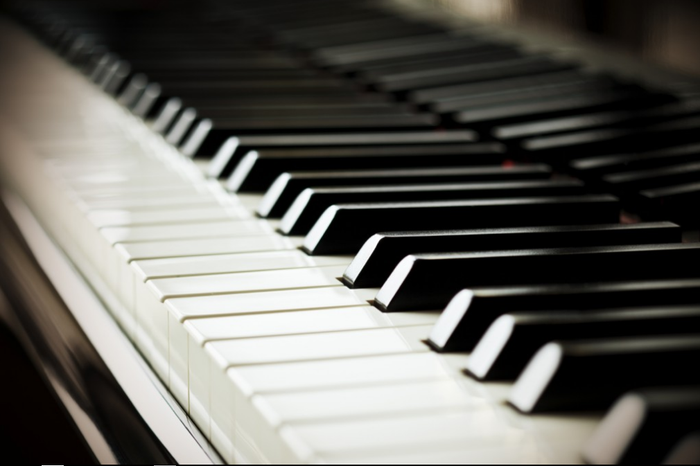 “Pianos Are out of Tune.” Manuel Music Studio. N.p., n.d. Web. 5 May 2016. 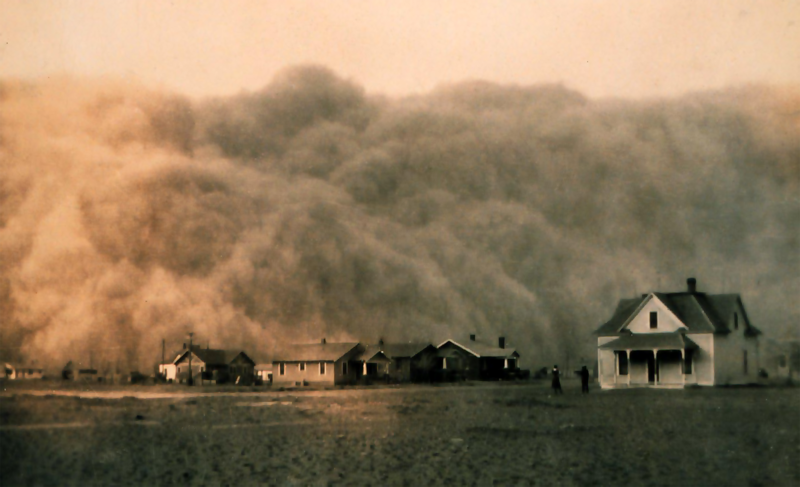 <https://upload.wikimedia.org/wikipedia/commons/3/34/Dust-storm-Texas-1935.png>. Sunrise. Youtube. N.p., 2 Dec. 2014. Web. 9 May 2016. <https://www.youtube.com/watch?v=mcjUW8BZNZo>.